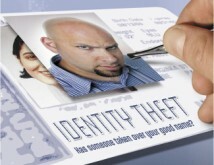 On Oct. 7, the District Attorney of Queens County, N.Y., and City of New York Police announced the results of a two-year investigation that resulted in the biggest identity theft takedown in U.S. history. The elaborate scheme, which involved five organized crime rings with ties to Europe, Asia, Africa and the Middle East, resulted in financial losses exceeding $13 million over a 16-month period. So far, 111 individuals have been indicted, and authorities say 86 are now in custody. The criminals focused on credit card fraud, using stolen credit card numbers which they then used to create counterfeit credit and identification cards. Skimming devices were used in restaurants and on bogus websites to obtain the credit card numbers. “The counterfeit cards were supplied to hired shoppers who were instructed to purchase high-end electronics and other merchandise, items that could easily be fenced and re-sold, usually over the Internet. Some of the shoppers also have been accused of using counterfeit cards to stay in five-star hotels and rent luxury cars during their so-called shops. In one case, a shopper allegedly commissioned a private jet to travel from New York to Florida,” BIS reports. This is why it pays to keep careful tabs on your credit cards.